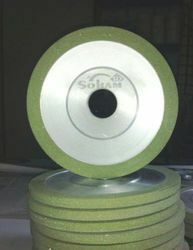 Leading Manufacturer of branded russian bruting wheels from Surat. With the consideration of cutting edge innovation, we are occupied with offering a far reaching scope of Diamond Cutting Tools which is utilized for bruiting characteristic precious stone. The whole scope of bruiting wheel is made by utilizing most recent strategies by our gifted experts. For keep up our quality benchmarks, our specialists test this bruiting wheel against different parameters. Tuned in to worldwide set standard, we give this bruiting wheel in different bundling models and at moderate rates.